The Beauty Boardroom: Stop That Spot! Both this Lush Grease Lightning Tea Tree Spot Treatment and the Good Things Stop That Spot Clearing Gel are gel-textured treatments to dab onto breakouts. I use this in the mornings and at night on any angry looking breakouts, and you'll notice that the spot is considerably reduced after just 1 day of use. They both work extremely well and are similar prices although the Lush treatment contains 3 times the amount of product! 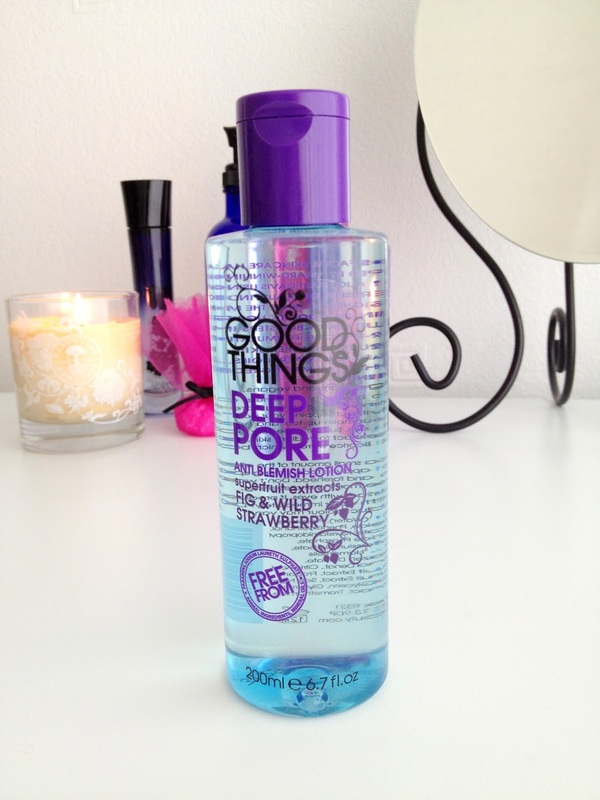 Good Things Deep Pore Anti Blemish Lotion is another fantastic product. I apply a small amount of this toner onto a cotton pad and gently wipe the affected area. You can use it all over your face if you have oily or acne-prone skin. I let it soak in for a few minutes before adding one of the spot gels on top. It really helps to cleanse the infected area and unclog pores. Salcura Acne Clearing Spray is great if you've got dry skin, or worry that the alcohol in traditional spot treatment products will dry your skin out. This spray contains no alcohol, parabens, antibiotics, peroxides, cortisones, hormones or steroids. It's a spray that you can spritz all over your face or just apply to the affected area. It's all natural and contains dead sea minerals, melaleuca alternifolia (tea tree), aloe vera, sea-buckthorn oil and other wonderful ingredients that makes this product anti-itch, anti-fungal and anti-bacterial. It's great for anyone that's prone to acne, whiteheads, blackheads, spots and blemishes. The La Roche-Posay Effaclar A.I. is a targeted breakout corrector that I use most days. It's great because it's a cream-texture that immediately absorbs into the skin on application, and is therefore perfect to apply in the morning under your make up. I apply it to any breakouts and then layer my daily serum and moisturiser over this. It really helps to keep breakouts at bay, and unlike gel products, it's very easy to wear under or over make up. Have you tried any of these? What are your favourite spot treatment products?